Jigglypuff. 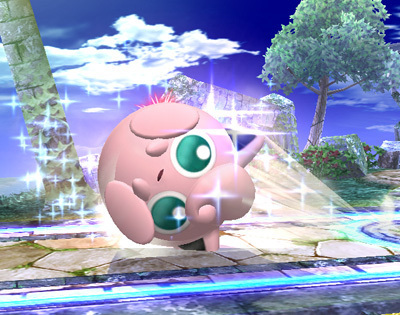 Play 400 matches to earn the balloon Pokémon, Jigglypuff.. Wallpaper and background images in the Super Smash Bros. Brawl club tagged: pokémon super smash bros. brawl pokemon veteran hidden secret. This Super Smash Bros. Brawl photo might contain bouquet, corsage, posy, nosegay, turbine upepo, and upepo turbine.